Use it and lose it! People often think apps are too much trouble to install and use too much memory. Some apps just can’t compete with selfies. If only there was a way for the world to know just what web pages, videos and apps you wanted when you wanted them and your mobile device magically displayed big buttons linking you to them without gobbling your memory and your time? The way is here. In 2010, Apple introduced iBeacons. iBeacons broadcast an identifier to a listening app that are used to deliver information resources when in range. Range is adjustable between a few feet and up to a few hundred yards. iBeacons use the Bluetooth Low-Energy protocol to conserve battery consumption dramatically in both the beacons and listening devices. Beacons can operate from a few months to more than a year on a small replaceable battery. At Krowd, we believe contextual computing will become as commonplace and even expected, as transactional email has become. We made it simple for local businesses to create or link content for iBeacons and to deliver notifications that link to those resources on iOS and Android devices. They’re not intrusive. They’re simple shortcuts to the information your customers want when they want it. 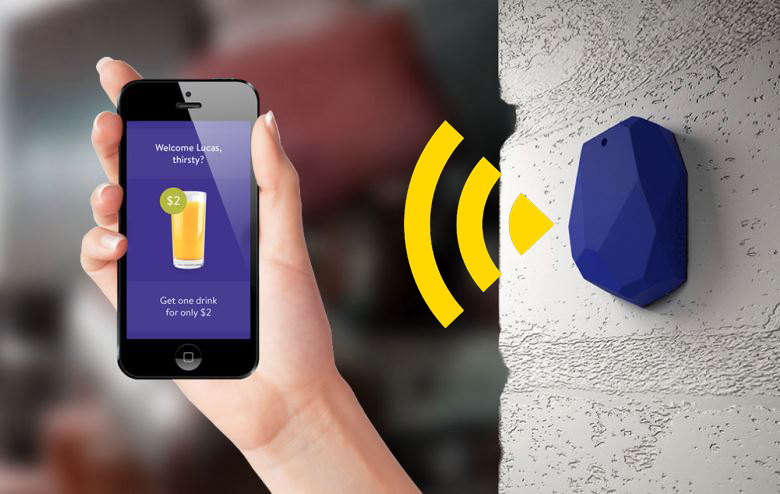 iBeacons present so many opportunities to further engage with your customers. They can broadcast special coupons that are only offered to customers who are on-premise. They could present recipe ideas while you’re at the farm stand. Deliver event updates, turn lights on and off as you move around your house and much more. Android already supports Bluetooth Low-Energy and so also iBeacons, but Google has exciting plans for it’s own protocol named Eddystone. The primary difference today between iBeacons and Eddystone is that Google plans to integrate Eddystone with native apps, starting with the Chrome web browser. Eddystone reduces the need to install other apps to fetch resources. But Google recognized there are reasons you may want to interface beacons specific apps and then they made a leap in contextual computing that will change the way we all consume apps in the future. Addresses broadcast by Eddystone devices will link to app portions called Instant Apps that you consume and discard. You no longer need to worry about apps clogging your memory. 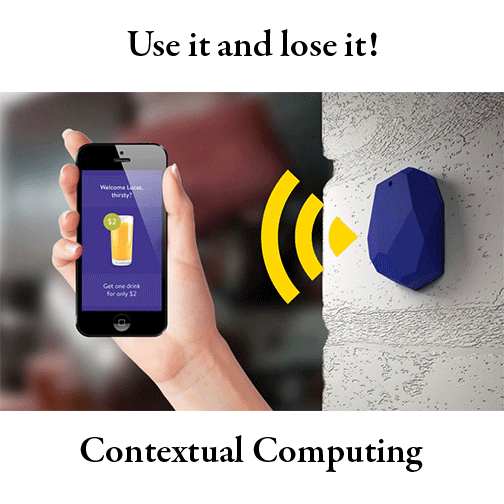 In the short-range future of Contextual Computing, users could be linked to their Krowd Loyalty Wallet based on the present context that they were in the proximity of a business that supported Krowd. We expect Apple will be pressured to offer a similar mechanism to Instant Apps and we’ll be working hard at Krowd to deliver this new technology to local businesses as it develops.